Do you find your car unbearably hot after leaving it under the hot sun for awhile? 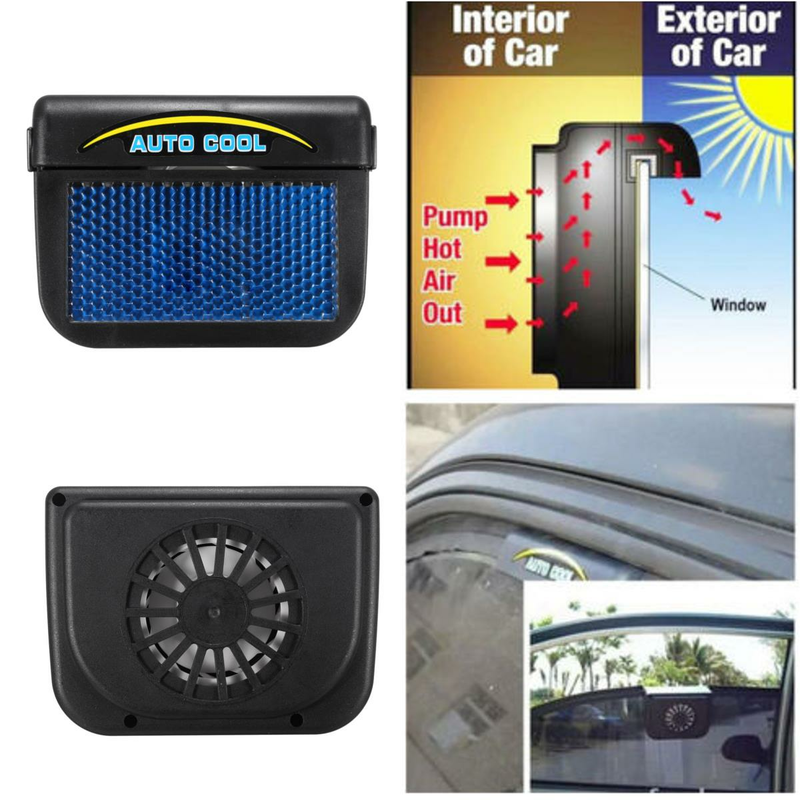 Install this Solar-Powered Automatic Car Cooler on your car window, and use solar energy from the sun to cool your car! 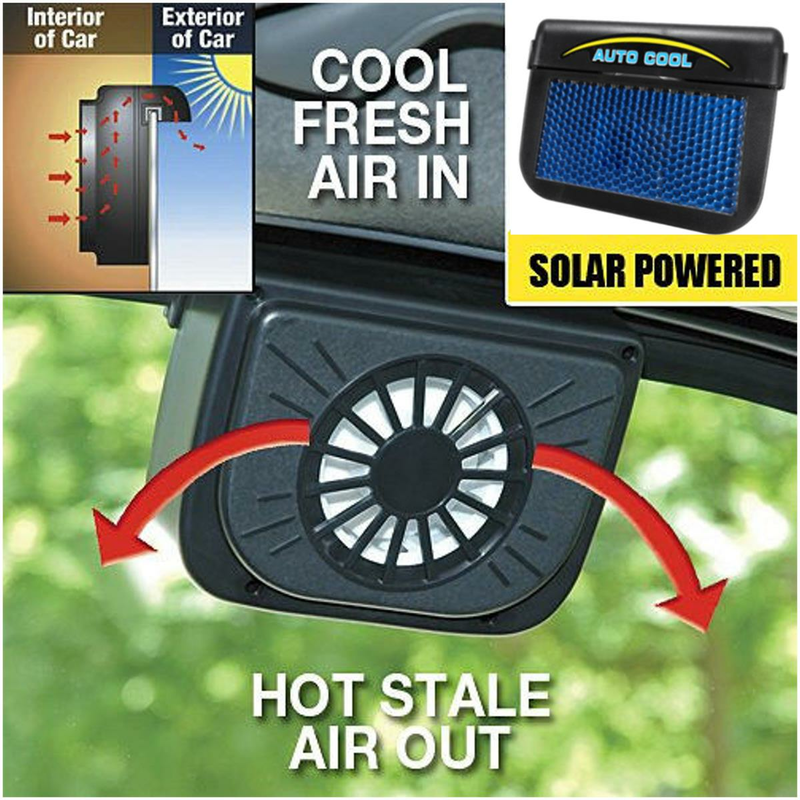 Now, even if you leave your car parked out under the hot sun, it will stay cool because of this awesome device. 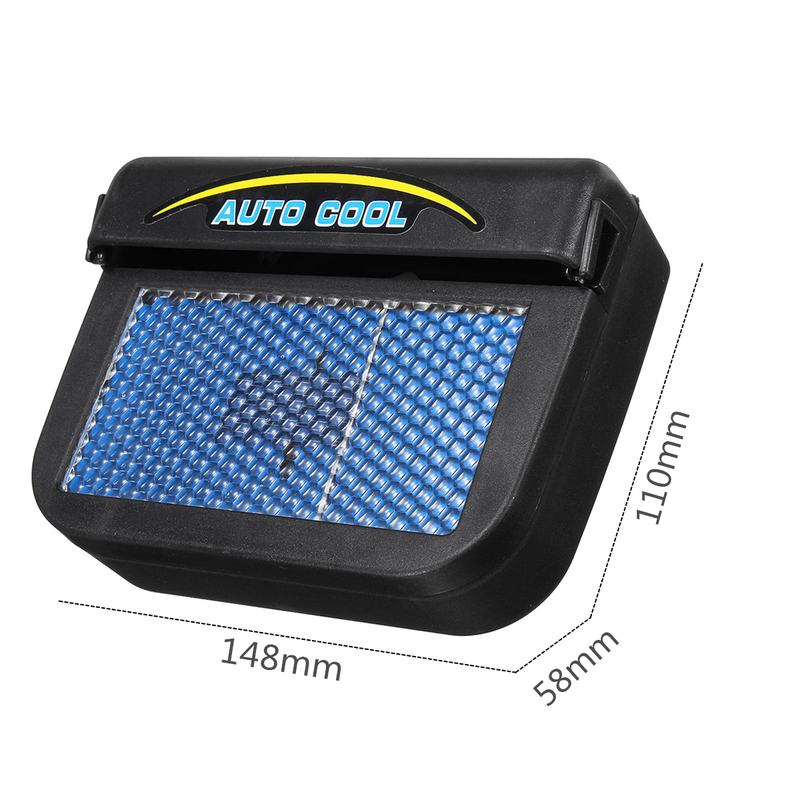 Use this Car Cooler to protect your car's expensive leather seats, dashboard, interior and valuable items from hot conditions. It also reduces air conditioning use and fuel consumption. Chances are, like many others, you don't have anything to put on your window to block out the sun so the heat just circulated inside, This solar powered automatic car cooler, though, once installed on your window, uses the energy from the sun to cool your car. It does so by drawing out the heat from the interior directly outside of your car. Now, even if you leave your car parked out under the hot sun, it will stay cool because of this awesome device. This Car Cooler Protects expensive leather seats from weakening, Protects dashboard and interior, Keeps valuable items safe from hot conditions, Reduces air conditioning use and fuel consumption. 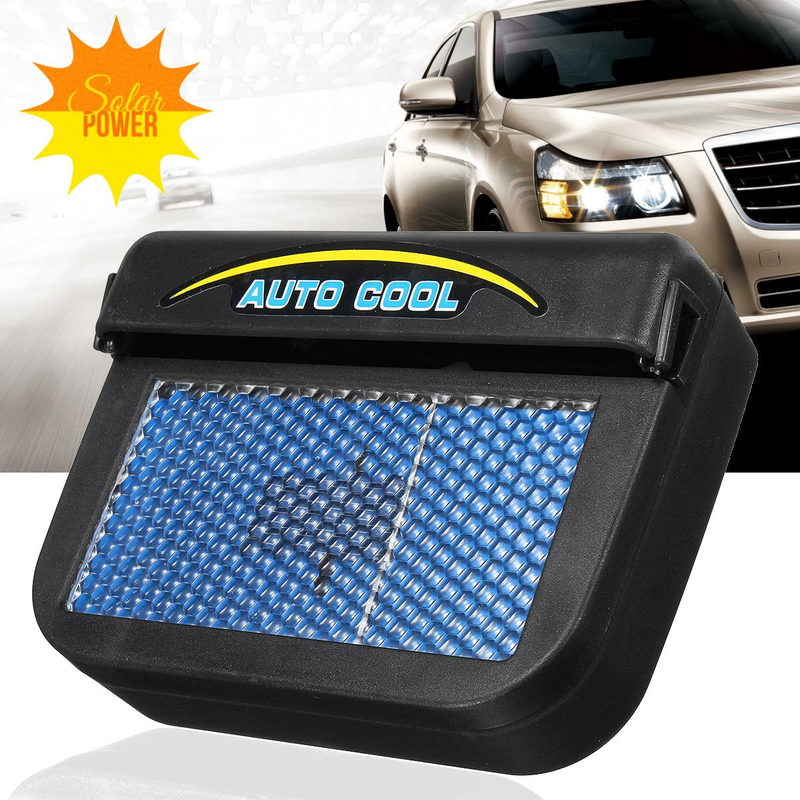 The Solar Automatic Car Cooler will make sure that your car is always the coolest thing on the road. Keep cool in the heat Just because it's hot outside doesn't mean you have to be hot while driving. It maintains a safe, comfortable temperature level for your return.